Analysis: The French government and its secret services got a wakeup call in January, but kept sleeping. While taking a few minor steps, they avoided a comprehensive reform and failed to draw conclusions from the Charlie Hebdo and Hypercacher attacks. “The French government and its secret services have experienced a miserable and crushing failure in drawing lessons from the terror attacks at the Charlie Hebdo newspaper offices and the kosher supermarket in January. 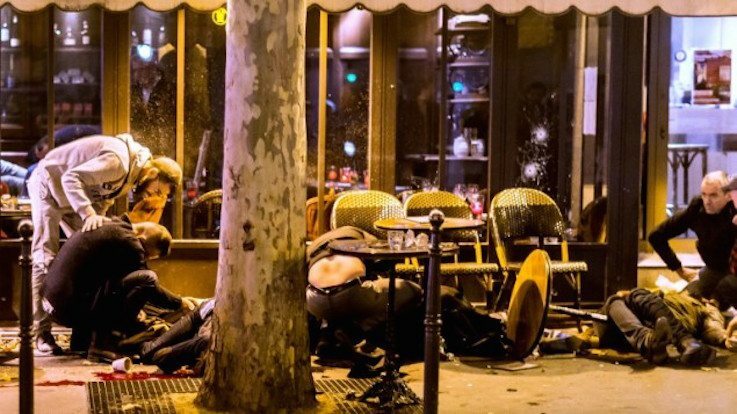 They are responsible and to be blamed for Friday’s terror attacks in Paris,” a senior American source, who headed one of the governmental counter-terrorism organizations and has been serving as a key advisor to the FBI since retiring, told Yedioth Ahronoth on Saturday. “A massive Islamic State force is busy planning and executing a multi-target attack, over a long period of time, and the powerless people from the French intelligence are unaware of anything. It’s a disgrace. An intelligence catastrophe,” he added. Indeed, the French got a wakeup call in January, but kept sleeping. Israeli and French government and intelligence officials I have spoken to since those attacks described an ongoing failure in the process of drawing conclusions. 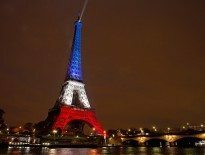 Two weeks ago, France received a warning about a rise in the communication volume between ISIS elements in the Middle East and elements that may be affiliated with them in different cities, but mainly took protection measures, such as tightening security at foreign embassies in Paris. There was no conceptual change, which would be reflected in actively thwarting terror. French intelligence and its two major branches, the one parallel to the Israeli Mossad (DGSE) and the one parallel to the Israeli GAS/Shin Bet (DCRI), should have held a routine monitoring of suspects within and outside France and foiled their intentions before it was too late. They failed to do that, too. It is too early to determine whether these warnings received by France and Germany’s security organizations in recent weeks had to do with this specific act, but in any case the failure is apparent. In spite of whatever steps were taken, the attacks were not prevented. A month before the January attacks, Yedioth Ahronoth reported that according to UN estimates, ISIS had been joined by more than 20,000 volunteers from 90 countries. The UN determined that France was one of the countries “under a serious threat” following the return of volunteers “with a lot of operational experience, military abilities and ties to the ISIS headquarters.” They were the ones who should have been followed. But they weren’t. After January, the French took a number of minor steps, but avoided a comprehensive reform. The French should have trained additional, massive manpower to deal with situations of terror; to train legal personnel to file charges against terror elements and perform constitutional changes; to purchase a lot of equipment, mainly intelligence machines, which would allow an advanced infiltration of social media, and to get assistance from other countries that have dealt with such situations in the past. That didn’t happen as well. The American source says his country offered to help the French train manpower and sell them intelligence machines of the Palantir company, which specializes in the area of OSINT (Open Source Intelligence), but was turned down. Israel offered different types of aid too, and received a polite refusal. A key failure is the hesitation to join international systems coordinating the war on terror. The French were very hesitant about exchanging information. Cooperation could have generated, for example, a list of suspects who would be banned entry by all countries, including France. This is a critical issue: Unlike the January attacks, which were a local initiative, this was likely an operation that was planned outside of France with the support of the ISIS Security and Intelligence Council in Iraq, which is being run by Abu Bakr al-Baghdadi’s deputy. France believes it can handle the wave of terror like it handled radical left-wing and Arab elements in the 1960s and 1970s (and even then it was indecisively and with partial success). This is not the case this time. In the past, the terror’s operational power numbered only several hundred people, most of whom were untrained. Today there are tens of thousands of potential suspects. Is it possible? Yes, but with an unprecedented investment of resources and through the establishment of a joint information and operations system for all countries, which will require keeping a big national ego in check. 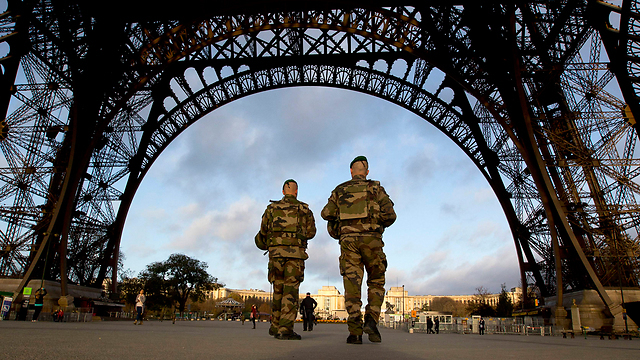 Without a new intelligence-police-operational-legal infrastructure in France, terror will win. 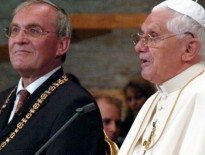 Previous ArticleRegensburg Redux: Can Benedict say ‘I told you so’ about Islam?